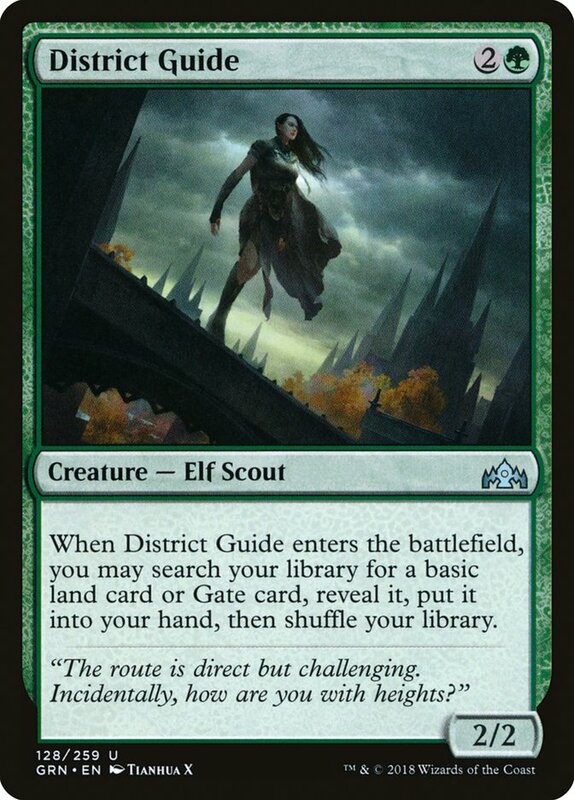 Card Text: When District Guide enters the battlefield, you may search your library for a basic land card or Gate card, reveal it, put it into your hand, then shuffle your library. Oracle Text: When District Guide enters the battlefield, you may search your library for a basic land card or Gate card, reveal it, put it into your hand, then shuffle your library. Flavor Text: "The route is direct but challenging. Incidentally, how are you with heights?"